Asbestos Surveys | First Environment Ltd.
First Environment holds UKAS accreditation to EN ISO/IEC 17020:2012 for undertaking Re-inspection, Management and Refurbishment and Demolition Surveys for asbestos in domestic, commercial and industrial premises. From single premises to extensive property portfolios our survey team has extensive experience in assisting clients to locate the asbestos containing materials that may be present. For buildings built after the year 1999 it is unlikely that asbestos will be present or have been used. 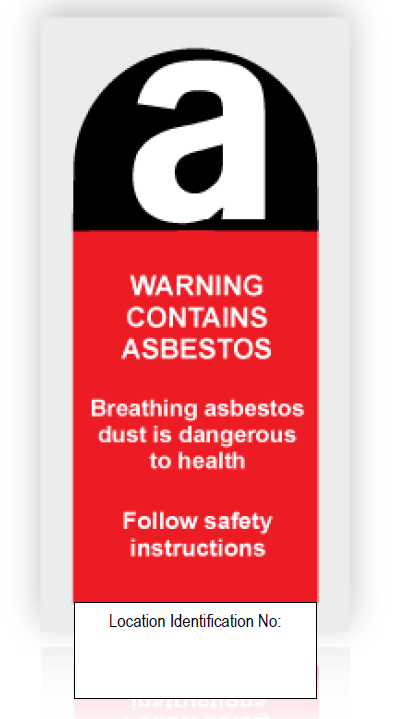 As asbestos use was prohibited in 1999 it is normally safe to assume that there will be no asbestos present for buildings built in 2000 and later and no action is required. If built on a brownfield site or if old equipment has been relocated to the premises these factors need consideration as they can increase the chance of asbestos being present even in post 1999 buildings. 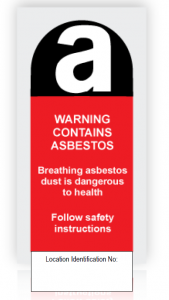 For buildings built or refurbished in the UK before the year 2000 steps to identify any asbestos present are required and although this can sometimes be found from construction information usually an asbestos survey is required. The type of survey is determined by the planned use and activities and will either be as a Management survey for normal use and/or a Refurbishment/Demolition survey where works are planned. The purpose of the management survey is to manage asbestos-containing materials (ACM) during the normal occupation and use of premises. Essentially this means that in the UK any building constructed before the year 2000 should have an Asbestos Management Survey (these have previously been referred to as a ‘Type 2 Asbestos Survey’ which is the equivalent type of survey if carried out before the introduction of HSG264 in 2010). The purpose of surveying is to make a ‘materials assessment‘, i.e. A refurbishment and/or demolition survey is required where there are works planned that go beyond just the normal occupation and use of the building. (these have previously been referred to as a ‘Type 3 Asbestos Survey’ which is the equivalent type of survey if carried out before the introduction of HSG264 in 2010). This applies equally for small and large projects, for example by just removing one wall a refurbishment survey would be needed. Where a premises is to be fully or partly demolished a demolition survey would be required. The survey must locate and identify all asbestos containing materials before any structural work begins and the scope of survey is usually just limited to the area of works planned as it involves destructive inspection and possible asbestos disturbance. The control of asbestos regulations require that the condition of asbestos-based products needs to be inspected regularly and records updated accordingly. Asbestos containing materials can degrade or be accidentally damaged causing the risk associated with the material to change. Re-inspection surveys are designed to allow a competent person to demonstrate that the condition of any previously identified asbestos products is suitably monitored and recorded. Reinspection is typically undertaken at least every twelve months or more frequently for high risk materials. First Environment’s reinspection survey reports include new photographs of those materials together with a new recommendation on how to safely manage those materials. Our reinspection surveys are undertaken by BOHS qualified surveyors and covered by the scope of our UKAS accreditation. The ‘duty to manage asbestos’ requirements of the control of asbestos regulations do not normally apply to domestic premises. The requirements do however apply to common parts of premises, including housing developments and blocks of flats, but do not place any direct duties on landlords for individual houses or flats. Exceptions can be where the lease or tenancy agreement defines responsibility for maintenance differently. Examples of common parts would include foyers, corridors, lifts and lift shafts, staircases, boiler rooms, risers, gardens, and out buildings. The requirements do not apply to rooms within a private residence which are shared by more than one household, such as bathrooms, kitchens, etc in shared houses and communal dining rooms and lounges in sheltered accommodation.